You know those discount offers the competition sends out – $59 for a checkup and cleaning? You hate them, right? They steal your customers, right? Look. The biggest reason these mailers (or billboards, or TV ads) work is they’re shot into a vacuum created in the patient’s head by their own dental office. Truth is, your patients aren’t out looking for a bargain, but when the competitive message is the only message they get, well, some of them will act on it. If you want your patients to remain patients and not be lured away by offers for cheap (or, worse, free) cleanings or cosmetic services, beat the other guy at their own game by upping your communication strategy. Here are three gems that can work for you right now. Today, pretty much every smartphone has a built-in HD camera. Why not put that $600 phone to use and shoot some video? Don’t have one? Someone in your office does, so beg, steal and borrow! You can record testimonials (these are HUGE! ), holiday messages, a quick “hey” about a local festival, new patient greetings, patient birthdays, weddings, the arrival of a patient’s child – anything, really. If you’re a RevenueWell customer, distribution is dead-simple. Once your videos are recorded and uploaded to a video host like YouTube, you can simply add the link to your automatic campaigns, and presto, you’re done. Those without RevenueWell can always email videos to patients. If you’re looking for a way to stay in front of patients without “selling,” newsletters are the way to go. RevenueWell’s content team has more pre-written newsletter articles than you can shake a stick at, and sending them to patients keeps you top of mind each and every month. And newsletters work like any other communication feed we come in contact with, so don’t think you’re over-messaging. You’re not. People will skim for topics that interest them. The familiar are skipped, but the intriguing are read. Some RevenueWell offices discovered how true this is recently after sending out a recent oral cancer article and their phones started ringing with requests for appointments. Strict email marketers will tell you direct mail is dead. And direct mail marketers will tell you it’s the only thing that truly ever worked. The truth lies in the balance. To reach 100% of your patient base, you have to recognize that not all patients use email (regardless of age) even if you have an email address on file. Also, some people just like getting mail! It’s tangible, and these days is often such a surprise, since so much IS digital, that it’s regarded as personalized. Which is exactly what you want. 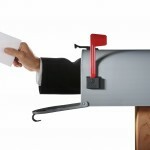 Don’t fight direct mail – it works. When we see offices complement their email efforts with direct mail, they get a better return on investment, and more appointments than those who use email alone. Keep the communication flowing, or amp it up if you’re lagging behind. The results you’ll see in your patient analysis reports will be the proof in the pudding, and the minimal amount of time and money you put into it will be well worth the effort.